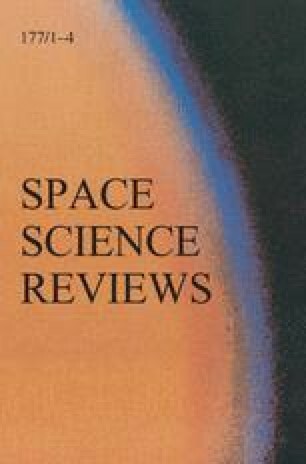 Developments in the extragalactic distance scale during the period 1983–1987 are reviewed. There have been many very significant improvements in our knowledge of the distance scale during this period, yet the overall shift in the distance scale from that adopted in Cosmological Distance Ladder (Rowan-Robinson, 1985, CDL) is small. The galactic calibration of Cepheids has been enormously improved by detailed work on the open clusters and associations containing Cepheids. The resulting shift from the calibration of Sandage and Tammann (1969) is small, though Strömgren-Hβ photometry gives discrepantly low distances in some cases. The number of galaxies outside the Local Group with distances determined from Cepheids has increased from 2 to 5 (N2403, M81, M101, N300, N3109). The nova method has, in a spectacular development, been pushed out to the Virgo cluster and gives a distance modulus in good agreement with that adopted in CDL. RR Lyrae stars have been studied in M31, again representing a more than 10-fold increase in the range of the method. The past five years has been a dramatic period for the supernova distance method. The rediscovery of Bertola's Type Ipec subclass, now known as Type Ib, has stimulated a burst of activity on the theoretical front. Models for Type Ia supernovae involving the deflagration of 0.4–1.0 M0 of a 1.4 M0 C-O white dwarf have reached a considerable degree of sophistication. Type Ib's are believed by most theorists to be the end-point of the evolution of a 20 M0 star which has previously lost its envelope by mass-loss. SN 1987a in the LMC was the astronomical event of the century and has already led to an independent estimate of the distance of the LMC in good agreement with other methods. The Tully-Fisher method has been the subject of intense study during the past five years but there is no clear explanation of why it gives lower distances than other methods. Malmquist bias has been invoked by several authors. A new method for estimating the distance to ellipticals, which is a modification of the older Faber-Jackson method, the D n -σ method, has been applied to hundreds of ellipticals, giving distances in good agreement with those adopted in CDL. Weighted mean distances to groups have been calculated as in CDL and the resulting Hubble diagram, corrected for our motion through space, plotted. The best estimate of the Hubble constant is 66 ± 10 km s-1 Mpc-1, virtually unchanged from CDL. A prescription is suggested for bringing the Type Ia and infrared Tully-Fisher methods into line with other methods.